Heck, it already beat a Tesla last year. 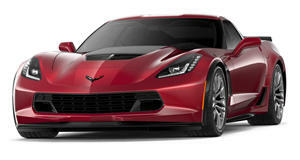 It all began in March 2016 when the all-electric Corvette GXE, originally a 2006 C6 Z06 until it was modified by Maryland-based powertrain specialist Genovation, set a new EV standing mile record of 186.8 mph. Only days ago it broke that record with a speed of 190.4 mph. More importantly, it was driven even faster at the Kennedy Space Center’s Space Shuttle Landing Facility in Florida. With driver Johnny Bohmer at the wheel once again, the Corvette GXE reached a new land speed record of 209 mph, breaking its own previous record of 205.6 mph. And now Genovation has begun accepting orders for the all-new GXE, which will be based off the C7 Corvette Grand Sport instead. A grand total of just 75 examples are planned, each costing at least $750,000. 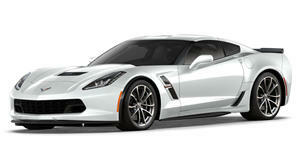 Remember though, this won’t be just a C7 without its V8. In its place are a pair of electric motors that produce over 700 hp and 650 lb-ft of torque, taking their power from a 44 kWh battery. Also impressive is that each motor is placed at either side of the vehicle in order to provide a perfect 50/50 weight distribution. And because it’s a Corvette, power goes directly to the rear wheels. Owners will also be able to easily drive this thing daily, as Genovation claims the car can do 150 miles on a single charge.